Our last day in Livingstone arrived so quickly, but we definitely made the most of it. We started out the day by visiting the Curio Market. Thinking about it in terms of US$, the prices were cheap regardless so it was a lot of fun to bargain with the shop owners. I bought a lot of cool gifts and handmade crafts. We returned back to the volunteer house to swim and lay by the pool for a while. Then we decided to go back to the market- this time bringing along clothes and other items that we could trade. They would even trade for hair ties since they are hard to get in Zambia and expensive when you can get them. Although some of what I bought I was unsure what I would even use the items for, but it was nice to be able to support the community by providing business to the hard working shop owners. Returning back to the volunteer house this time we got ready and hopped in a taxi to the Royal Livingstone Hotel for dinner, drinks, and sunset on the veranda. A wonderful way to spend our last night in Livingstone. 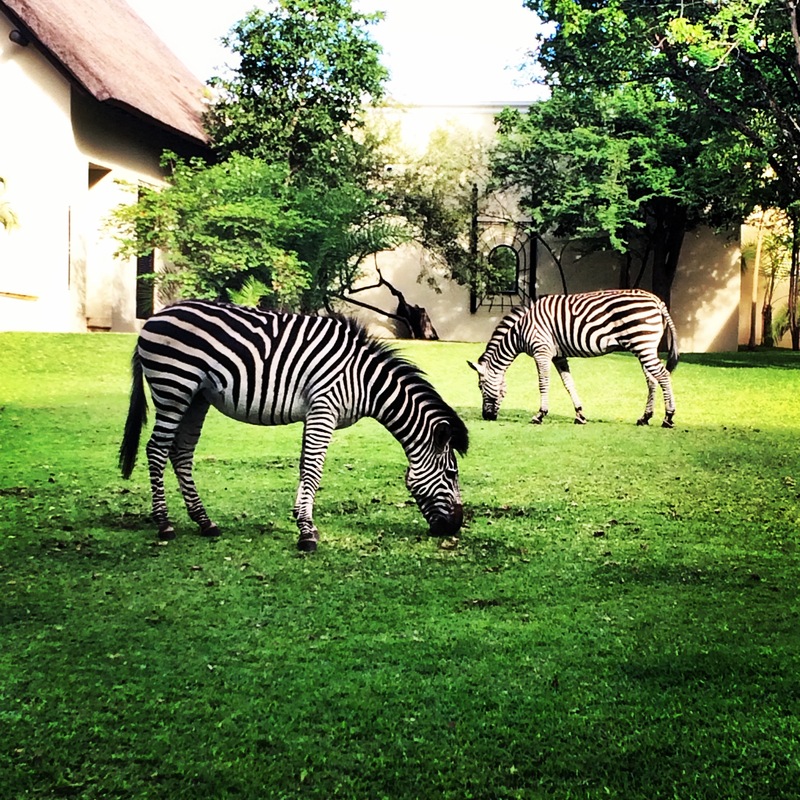 They have zebras casually grazing in the grass by the hotel pool. 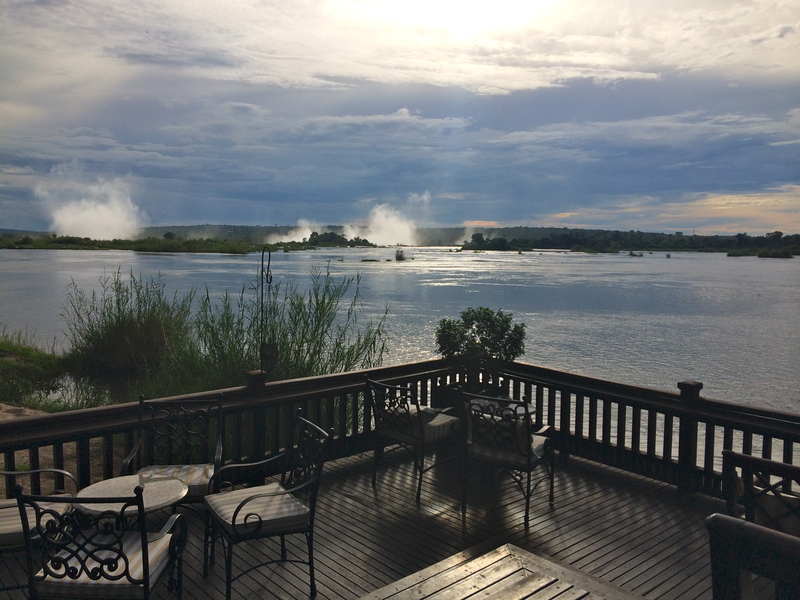 Looking out over the Zambezi River from the hotel you can see the smoke from Victoria Falls in the distance. Such beautiful scenery. After dinner we sat on the veranda and enjoyed a delicious drink while watching the magnificent sunset over the river. Returning back to the volunteer house sadly meant it was time to pack and prepare for the journey ahead. We had another 40+ hours of travel before arriving back home in Chicago!